Located in Tongxiang Economic Development Zone, the hinterland of Yangtze River Delta, Zhejiang Charming Holding Co., Ltd. has convenient transportation and it takes about 10 minutes’ drive from Tongxiang Station of Shanghai-Hangzhou high-speed railway to our company. At present it holds three subsidiaries: Zhejiang Charming Dyeing and Finishing Co., Ltd., Zhejiang Charming Textile Knitting Co., Ltd. and Tongxiang Charming Science-tech Co., Ltd., fully combining the knitting, dyeing, mercerizing, printing, finishing and scientific research of high quality fabrics into one group company and become one of the most influenced leading textile enterprise in the Yangtze Delta Area.The company covers a land of 120,000 sqm and construction area 100,000 sqm and has more than 1000 workers, with annual output of knitted fabric 1500 Ton and fabric printing 22 million meter. The company has strong technical forces, abundant resources and particularly superiority in advanced equipments incl. 230 sets of knitting, dyeing, finishing and printing machines, mainly imported from Germany, Italy, Switzerland, Austria, Japan, Korea and Hongkong. The company has set up a first-rate Chemical Analysis Lab. 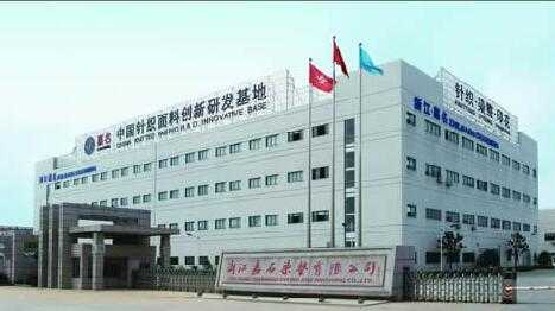 and a Physics Testing Center, and has participated in drawing up 3 items of National and Industrial Textile Standard, and obtained 2 Authorized Invention Patent and 18 Authorized Practical Patent.Adhere to scientific thought of development, the company energetically develop recycling economy and clean production and strive to realize energy-saving and emission-reduction, Paying great attention to the scientific innovation, products innovation and management innovation., the company has been successively crowned the title of China Knitted Fabric R&D Base, National Weft Knitted Pioneer Plant, Zhejiang New and Hi-Tech Enterprise, Zhejiang Green Enterprise, Zhejiang Management Innovation Model Enterprise and the company has been nominated by many famous brand enterprises as their fabric supplier.